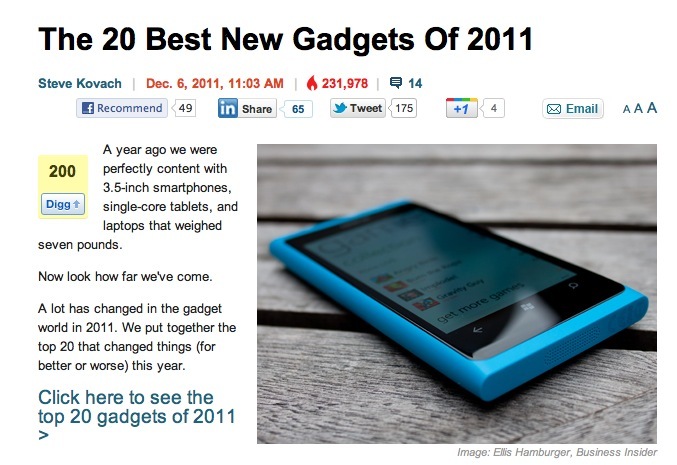 Out of all the gadgets and gizmos a plenty in 2011, as well as all those whozits and whatzits galore, the Nokia Lumia 800 has been chosen as one of 2011’s Best New Gadgets of the year by Business Insider. In fact, it’s the main feature item if you check out the title page. Here’s the particular page for it. They say it’s the phone that could make or break Windows Phone 7 – and it’s making it. When folks think of Windows Phone now it’s the Nokia Lumia 800. E.G. 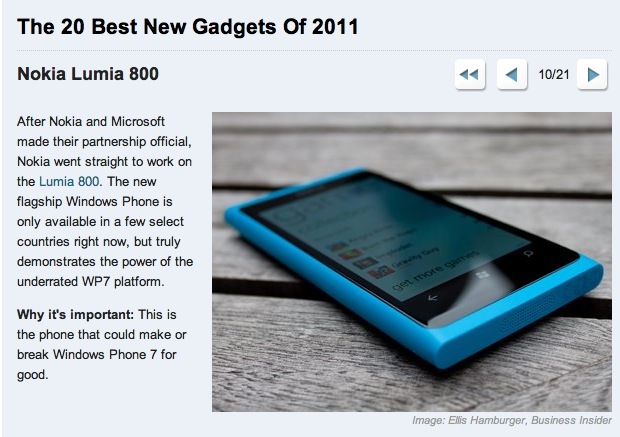 Engadget’s WP app features the Lumia 800 as the demo device.